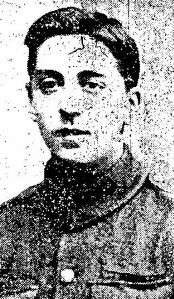 Private Charles Midgley lived at 23 Duke-street, Harle Syke. No news has yet been received of Private Charles Midgley of 23 Duke Street Harle Syke, who was a member of the R.A.M.C on board the ill-fated ship. Midgley, who was formerly a weaver, was known to be a good swimmer. The ship referred to is R.M.S Royal Edward. It was sunk by an enemy submarine in the Aegean Sea on 13th August 1915.